U-TOUCH welcomes Vanessa Roy and Grace Harter to the U-TOUCH team for Summer 2014! Vanessa Roy was born in Missoula, Montana where she earned her BA in Social Work from the University of Montana in 2009. After graduation, she workedas a case manager at a YWCA domestic violence shelter and served as a Peace Corps volunteer in Ukraine. In 2013 Vanessa began studying for her Masters in Economics and International Development at Johns Hopkins SAIS. This summer she will be interning at U-TOUCH working on curriculum development. Grace Harter was born in Washington, DC and received a BA in International Studies from Washington College. Soon after graduation, she joined the Peace Corps and served in Ukraine. Currently, she is studying for her Masters in Economics and International Development at Johns Hopkins University. 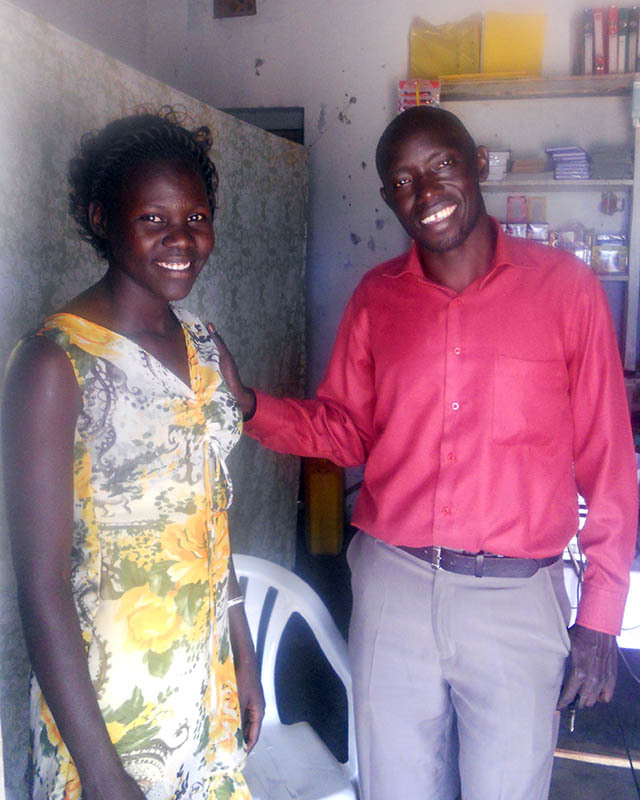 She is excited to work on monitoring and evaluation at U-TOUCH this summer. A new way to support U-TOUCH! Shop at AmazonSmile and Amazon will make a donation to U-TOUCH! Deb Plotkin: Born and raised in New York City, with the tragic loss of her father early in life, Deborah learned to be strong at an early age, turning hardship into resilience and opportunity. Through her work, she established her path and passion for giving a voice to those in need and a way to fulfill their dreams. Deborah initially became an advocate to give that voice to children with autism. After she and her husband spent years facing challenges trekking mountains in the US, the Himalayas in Nepal, Ecuador and Tanzania, Deborah’s drive and determination to help others only grew. The lessons on the way to the summit were adding up. After facing unexpected storms and avalanches, yet conquering the peaks, it was time to give back. Deborah was instrumental in the fundraising efforts and building of three schools in the Himalayas. Her determination, purpose and meaning in life grew exponentially. 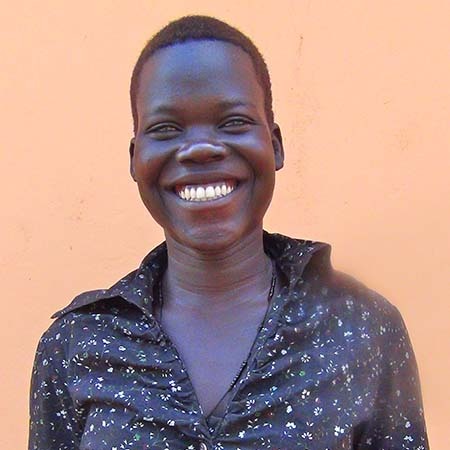 Learning about atrocities in northern Uganda, Deborah developed a student sponsorship program for orphans in the region. I am Amaa Jennifer from Pader Town Council. I am currently working as a Secretary to the office of District Registrar Electoral Commission Pader District. Additionally, I care take the same office in the absence of my boss. Prior to joining U-TOUCH Pader Center, I was working as Manager Posta Uganda Pader branch. I had no knowledge of computer then. 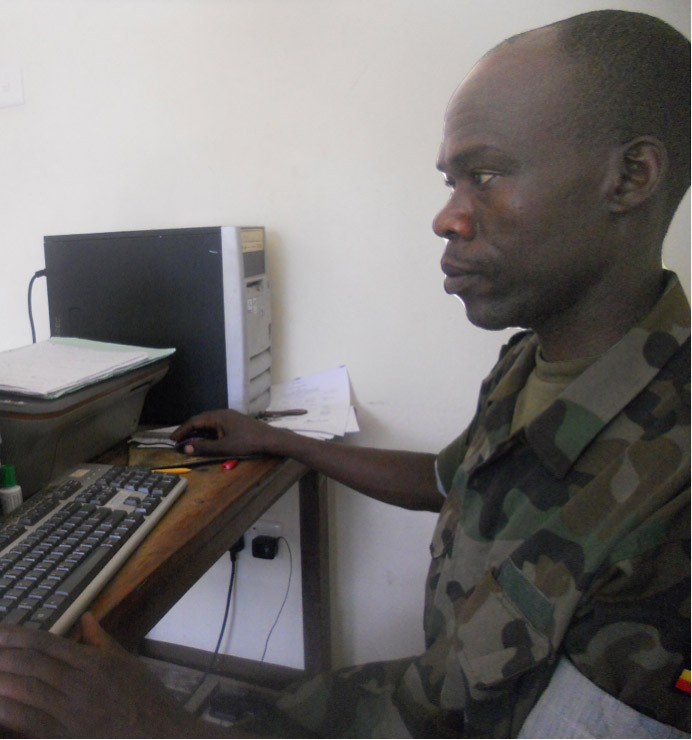 On the 5th January 2012 after learning of the free training ICT trainings at U-TOUCH Pader Center. I enrolled for the training. My expectation was to obtain the relevant computer skills to enable me acquire a good job with an attractive salary. At U-TOUCH center Pader, I acquired skills in word processing, editing, formatting, and working with spreadsheets, presentations in powerpoint and web search using Google. My communication also improved because of access to internet. After three months of training, I was confident that my expectation would soon come to pass. In April 2012, I saw a job advert for Office secretary, Electoral Commission Pader. The job description was just what I was trained on. It was like the job advert was looking for me. I applied and I was shortlisted for interview along with other candidates. Days later, I emerged the best person for the job. This was not by accident but because U-TOUCH had empowered me to be competitive enough for the job. At work, I apply the skills I learnt from U-TOUCH, to achieve my day to day roles which among others include data entry and management, making PowerPoint presentations for community sensitizations and receiving/sending e-mails from head office, Kampala. I am happy to share with you my gratitude to U-TOUCH for enabling me achieve my dream. I am hopeful that I will get a promotion in my new job as I continue working hard. Finally, to supplement my salary I intend to start a business in Pader. My name is Komakech Simon, 23, from Pader Town Council, Northern Uganda. Before Joining U-TOUCH, I was at an impasse. My chances of continuing to the higher Institution were uncertain. I was financially constrained to move further with my education. Then I got relieved when I heard an announcement about the free ICT training at U-TOUCH Center. I had no prior knowledge on computer. On receiving this good news, I began to dream of success because I knew that after attaining that training, I would find something to do and save money to further my education. I enrolled for the free ICT training on 4th February. My ambition was to attain working knowledge in Computer to prepare me for a job. After the 3 month training, I realized that my life had been totally transformed. I had acquired the skills necessary to create or look for a job. While I was looking for capital, another opportunity presented itself. Gemex Sport Betting Pader wanted competent Ugandans to fill the position of Tellers. Key among the requirements was candidates were required to have excellent computer skills. Equipped with a U-TOUCH certificate of completion, I confidently applied for the position and went through with a lot of ease. I strongly attribute this success to U-TOUCH Pader because they made me emerge the best. At my work place, my roles include entering goal predictions for clients into the system and issuing printed receipts. The software we use is an online spreadsheet application similar to the ones we were trained on, from U-TOUCH center Pader. I plan to raise enough money to enable me continue with my studies at University. I also intend to open up a Video library in Pader Town. Finally, U-TOUCH Digital Library Center Pader has transformed me from nobody to somebody, I would like to convey my appreciation to U-TOUCH for the good work she has done to the jobless youths of Pader. Pader district, like other districts of Northern Uganda has been a victim of the civil war orchestrated by Lord Joseph Kony. The two decade old war has led to untold suffering of people especially children and youths of school going age. Even when the war ended more than 7 years ago, Pader is still grappling with problems such as high illiteracy rates especially among girls, unemployment, gambling, and disease. Alcoholism and lack of information due to absence of public libraries and internet services. In 2010, U-TOUCH opened its center in Pader with the aim of reversing some of the problems highlighted above. 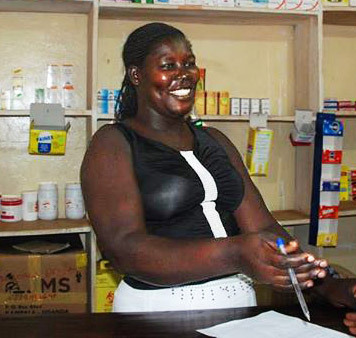 To date, more than 650 youths have been trained on basic ICT Skills. Using the free internet provided by the center, Youths have been empowered with the knowledge and skills to search for jobs online, obtain academic materials online, obtain health information related to Sexual and Adolescent Reproductive Health, Water, Sanitation, Tropical diseases among others. Those with access to capital have started or created jobs for themselves, others have gotten new jobs, and many others have enrolled back to Colleges and other higher institutions of learning in pursuit of academic excellence and employment. The in-school youths are using the internet in their institutions to compare notes. 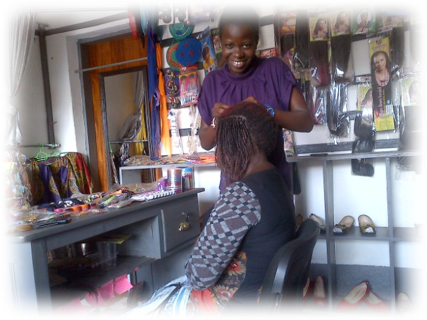 U-TOUCH has transformed the lives countless youths directly and indirectly. 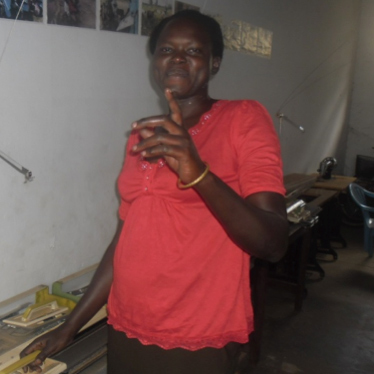 Below is a story of one of the many lives touched and transformed by U-TOUCH. My name is Atim Berna Prisca. I joined U-TOUCH Pader on the 1st October 2010 and completed on the 5th February 2011. Before Joining U-TOUCH, I was an English /Literature teacher at Bishop Flynn Secondary School, Pader District. On joining U-TOUCH, My goal was to obtain knowledge and skills on computer usage, to enable me improve my work output at the school. I also wanted to use the internet to create connections to rest of the world through e-mail. My future plan is to upgrade from teaching secondary level to University level and also establish a computer center where people also get access to computer skills and internet. Finally, I am calling upon all the youths to embrace the free computer skill training U-TOUCH, in order to be competitive for jobs. Most jobs today require computer knowledge. Anybody without ICT skills is disadvantaged and cannot compete for a job. I would also love to see the Resource centers extended to hard to reach areas. To crown it all, great thanks goes to U-TOUCH Pader and all the U-TOUCH community for transforming my life, May you continue touching more lives.